Pamper your clients and spruce up your corporate image with a custom printed foot shaped pumice stone. This small giveaway item is useful as a pedicure promotional item and also great in it's own right. 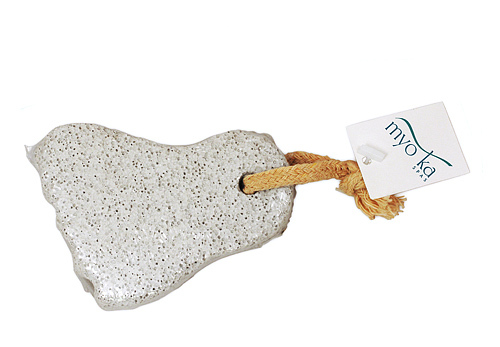 This imprinted pumice stone also makes a perfect addition to a pedicure gift pack or manicure gift pack. Individually shrink wrapped and custom branded with digital printed gift tag.